Gushing with vibrant colors, this unique flower arrangement resembles the morning sky. 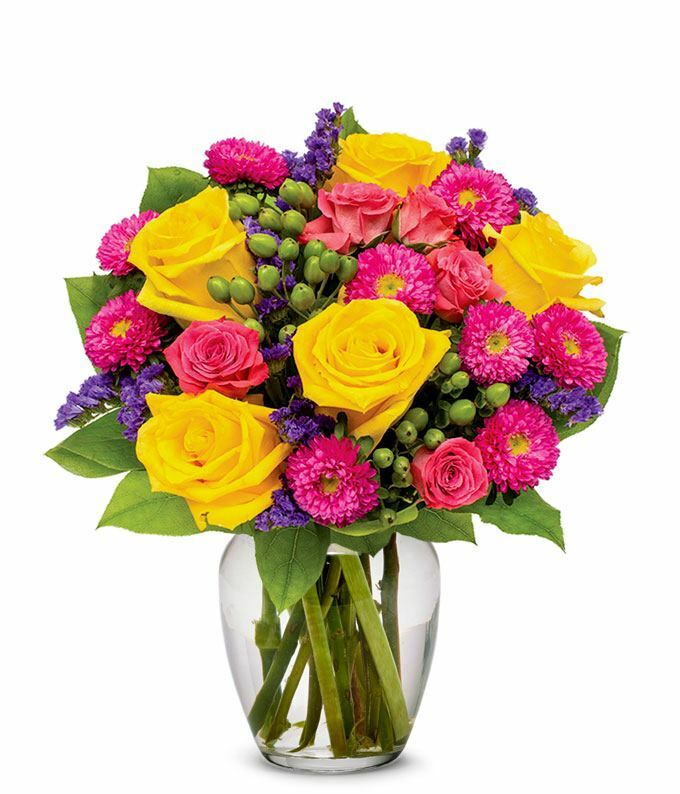 The Sunrise Bouquet is sure to bring any home or office to life with its hot pinks, sweet yellows, pretty purples and its generous cascade of greens. This noteworthy flower arrangement is becomes even more special during the spring and summer months, as weather compliments its warmth. Measures 14"H by 12"L.